BY DUANE A. VACHON, PH.D. This week I am going to deviate a little from the normal style of these articles. Usually they tell the story of a hero who is no longer with us. Lieutenant General H.C. (Hank) Stackpole III is very much alive and if history teaches us anything will be for quite some time. Secondly, this is one of the few times I have written about someone I know and call a friend. Stackpole graduated from Princeton University in 1957 with a B.A. in English. Soon after he began what turned out to be an illustrious career in the Marine Corps. 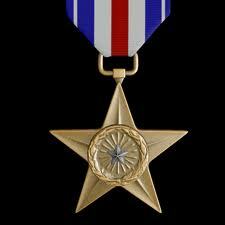 Stackpole’s career extends over more than 30 years and is branded by his awards and decorations which include the Silver Star Medal, Defense Superior Service Medal with oak leaf cluster, Legion of Merit, the Purple Heart with gold star, the Government of Japan Order of The Rising Sun, and the Vietnamese Cross of Gallantry. In 1966 Stackpole was serving as Company Commander, Company I, 3d Battalion, 5th Marines, 1st Marine Division, FMFPac, in the Republic of Vietnam when he was hit in the leg by a 50 caliber bullet. These rounds are usually used to stop tanks and armored personal carriers. Stackpole’s team was able to remove him from the line of fire and load him on a Dust Off chopper for evacuation to the nearest field hospital. The Dust Off took off and was starting to gain altitude when it was brought down by enemy fire. Of the nine men on the Dust Off, Stackpole was the only one to survive the crash. Stackpole managed to pull himself out of the wreck and crawl some 70 feet from the wreck when it burst into flames. Loaded onto another Dust Off he arrived at the field hospital and was immediately taken to triage where, because of the massive loss of blood, no signs of life could be found. He was on a stretcher waiting to be taken to the morgue when a priest began giving him Last Rites. The Priest saw some signs of life and called for a doctor. The doctor said it was hopeless but moved Stackpole back into a treatment room and with treatment was able to pull him back from the brink of death. An interesting sidebar, the Chaplain who saw life in Stackpole was Reverend Victor Krulak (Commander Navy Chaplain Corps). Chaplain Krulak is the son of Lieutenant General Victor H. Krulak. Lieutenant General Krulak was serving as Commanding General, Fleet Marine Force, Pacific. During tenure as Commanding General, Fleet Marine Force, Pacific he made 54 trips to the Vietnam theater. Stackpole after a career spanning more than 30 years, finished his career as the Commander of Marine Forces Pacific/Commanding General, Fleet Marine Force Pacific, headquartered at Camp H.M. Smith, Hawaii. 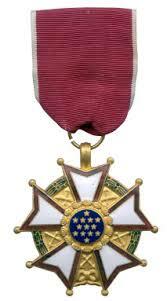 He retired as a United States Marine Corps Lieutenant General in 1994. Not one for standing still, Stackpole is now serving as a Commissioner with Boy Scouts of America. Aside from his time with the Asia-Pacific Center for Security Studies, last year there was another East West moment in his life. He and his wife Vivian, whom he met in Hong Kong, celebrated their 50th wedding anniversary. Captain Henry Stackpole, III (MCSN: 0-76572), United States Marine Corps, was awarded the Silver Star for conspicuous gallantry and intrepidity in action while serving with Company I, Third Battalion, Fifth Marines, FIRST Marine Division, during combat operations against the enemy in the Republic of Vietnam. The President of the United States of America takes pleasure in presenting the Legion of Merit to Major Henry Charles Stackpole, III (MCSN: 0-76572), United States Marine Corps, for exceptionally meritorious conduct in the performance of outstanding services to the Government of the United States from August 1970 through June 1973 as Commanding Officer, Executive Officer and Marine Officer Instructor, Naval Reserve Officers Training Corps (NROTC) Unit, Stanford University, California. During Major Stackpole’s tenure, sharp philosophical divisions between students, faculty and University administration were prevalent, with the ROTC as the visible and symbolic target for many opposed to U.S. foreign policy. Major Stackpole’s willingness to discuss issues with student and faculty members alike earned him the respect of all factions involved in the controversy. His efforts in communicating with student groups were prime factors in the reduction of actual violence directed toward NROTC facilities. In addition to his regular duties, he was an important supporter in prisoner of war/missing in action publicity efforts and gave numerous speeches on behalf of the National League of Families and Voices in Vital America. 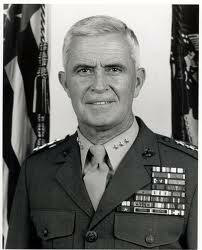 By his outstanding example of leadership, diplomacy, and devotion to duty, Major Stackpole reflected great credit upon himself and the Marine Corps and upheld the highest traditions of the United States Naval Service. Fair winds and following seas to a legendary Marine and great American! Semper Fi General. My dad was a marine and worked for Stackpole and regared him highly. LtGen Stackpole was my 1st Recruit Training Reg Commander, (Then Col Stackpole) I was a Drill Instructor with B Co, 1st RTBn at MCRD San Diego. I always admired his motivational speaking abilities and remember him as having outstanding character and impeccable military bearing. God Bless LtGen Stackpole, and God Bless the Marine Corps! Given the unquestionable courage, intelligence, integrity of men like Hank, I wonder why he and others put any faith in war as a solution? Were we threatened by VietNam, Korea, Grenada, Nicaragua, El Salvador, Panama, Iraq, Afghanistan? Weren't those who crashed into the twin towers & pentagon Saudi Arabians? I'm not sure who it was that said, "WW II was the last good war." meaning, presumably the enemy was know?